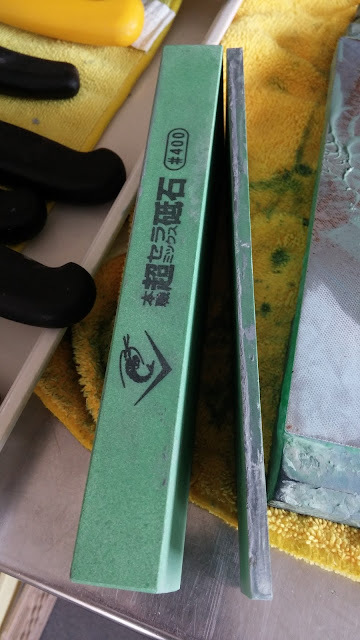 For those who visit my blog every now and then I thought I would let you know that I will soon have a link to another sharpening video that I made. It is complete but with Knifeplanet for final editing so when they post it, I will send the link here. There are hundreds of sharpening videos out there I know and I take that into account when I make mine, and I only make a few. 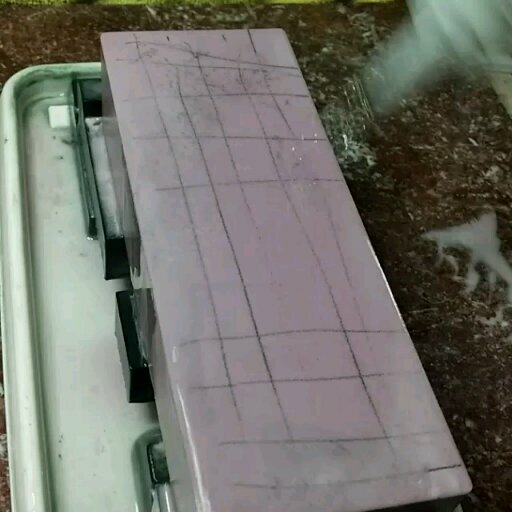 I really enjoy watching other people sharpen but some of them I shut off pretty fast. I try to make mine keeping in mind folks who may just be starting out, at least I TRY to make it beneficial. I am no videographer so the production value will not be perfect but I'm not too concerned about that. Making your knife efficient at work is after all what it's all about. We want to use a knife that brings joy to cooking, it changes food preparation from a chore to something you look forward to. 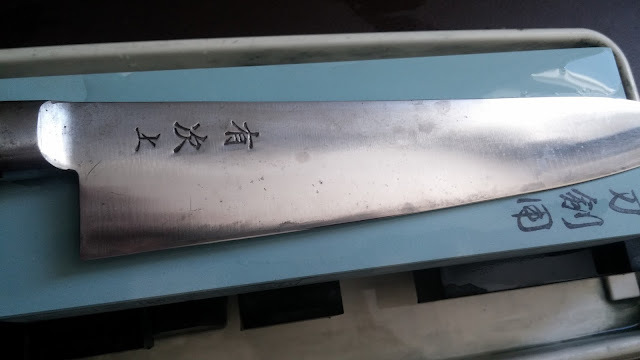 You don't need a Fujiwara to experience this, you can achieve this with just about any knife. Make it sharp and keep it sharp. Mirror finishes on bevels and showing a knife slicing a tomato horizontally without holding the tomato is all nice, those are things I did long ago, a logical stepping stone for someone obsessed with sharpening, a rite of passage so to speak. Creating a fantastic edge and enjoying process and throwing your favourite coarse water stone into the picture is what is really important. Establishing a technique that works for you, a motion that is easy to repeat and deliver results. Thats what you want to strive for. I'm impatiently waiting for the vid. What happened to my Edge Pro Professional ? What drives us to sharpen knives?